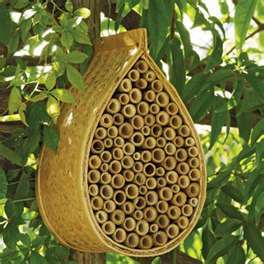 Bee Condos: If You Built It, They Will Come! 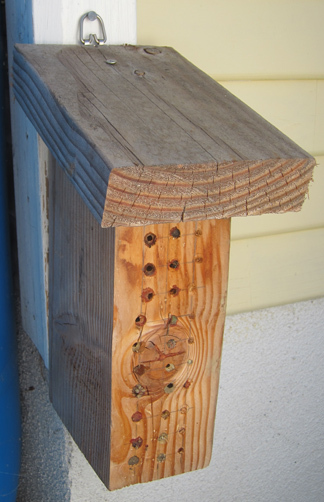 Many of the wild bees you may encounter in your backyard garden make their burrow homes in the soil. 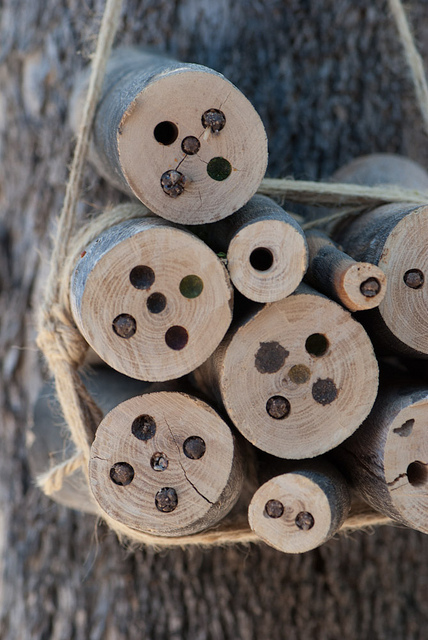 Some bees create hives in snags (a dead or dying standing tree, often with its branches broken off), or in holes in trees. 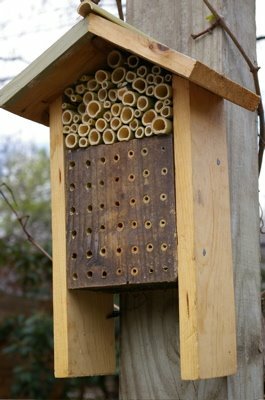 You can also encourage bee-residents by providing man-made nesting blocks or “Bee Condos.” It’s easy to build a “Bee Condo” for your native bees. 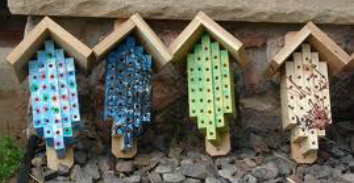 Drill holes into the wood blocks using a variety of hole diameters from 1/4 in. 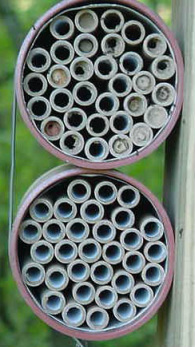 to 3/8 in. 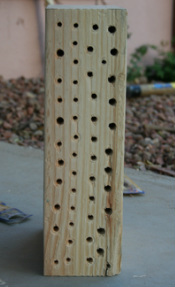 Drill holes 3-5 in. deep, and at least 3/4 in. apart. 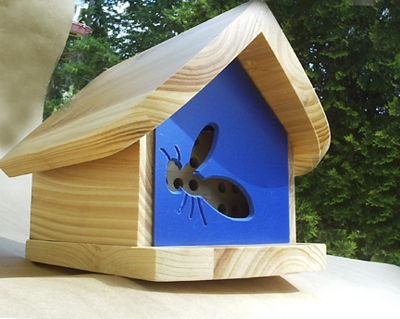 Smooth out ragged edges of holes. 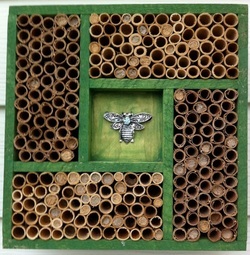 Visit The Pollinator Partnership, Native Bee Conservancy, The Xerces Society, U.S. 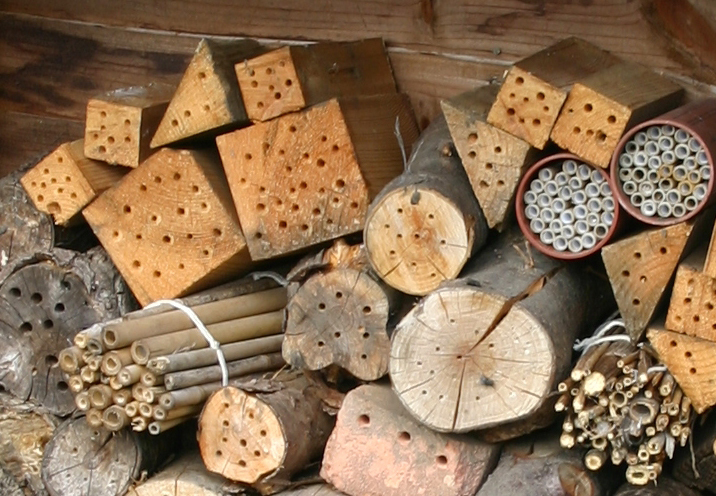 Fish & Wildlife Service, National Wildlife Federation, UF - Native Buzz, and UC-Davis. 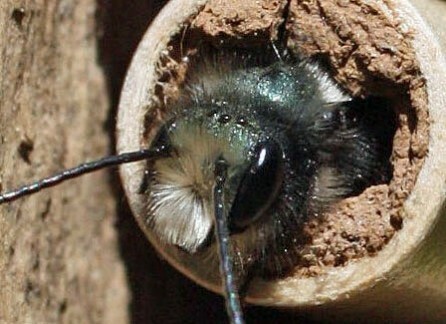 Many native bees do a more efficient job of pollinating than honey bees. 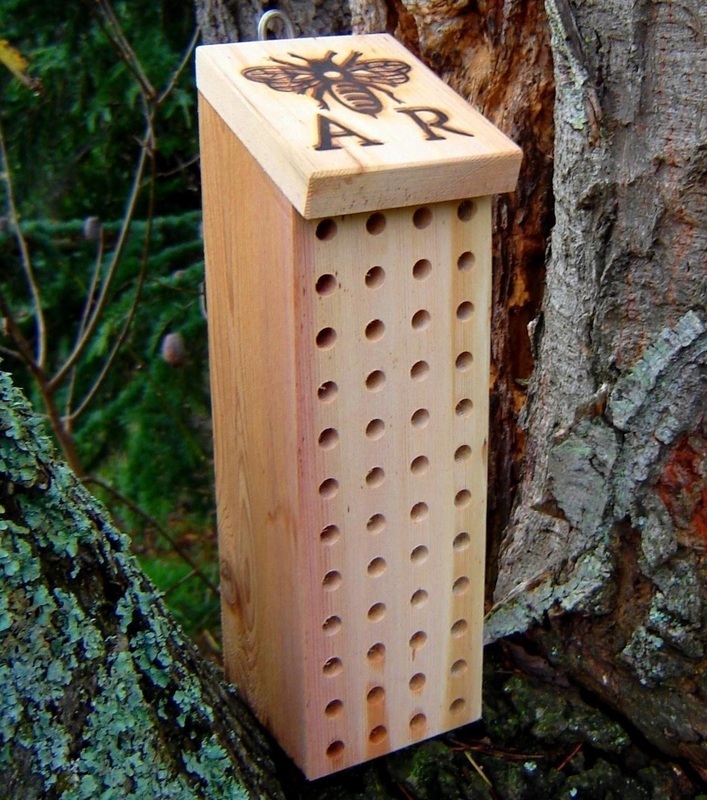 For instance, you can use 2 hives of honey bees to pollinate an acre of fruit trees (that’s about 50,000 bees), or just 250 native orchard mason bees.